Tsuki – fact or fiction? Back in 2009 I wrote a piece about tsuki http://wp.me/stBQt-tsuki . Since then, I have continued to see the occasional Youtube video of this technique resulting in brilliant ippon in the All Japan Championships, but I never see the technique practised. I have enjoyed keiko on four continents (I still hope to get to Australia), and have hardly ever seen anyone doing tsuki drills. I have witnessed numerous university practises and the occasional police tokuren session in Japan where tsuki has been ignored. This begs the question – how do those athletes who excel in tsuki get to be so good at it? There are lots of implicit embargos on tsuki. It should not be done by beginners or children, or used by more experienced players against the same. 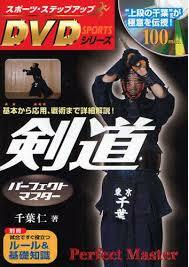 It is also thought to be impolite to do tsuki against a senior teacher. This does actually make sense as keiko between instructor and student tends to take the form of hikitategeiko, where the senior partner subtly makes openings for the junior. In this situation it would be extremely rude to charge in with a heart-stopping tsuki when sensei kindly opens for you to attack men. There is also a feeling, although I have never heard anything definitive on this point, that tsuki should not be attempted in grading examinations. Having watched the hachidan shinsa five or six times, I have only seen tsuki from one individual who has become a minor legend. At every grading, his reputation causes a knot of anticipation where the watchers go through a “will he, won’t he?” speculation. Every time I have seen him in action his very impressive tsuki emerges before the end of his second tachiai. 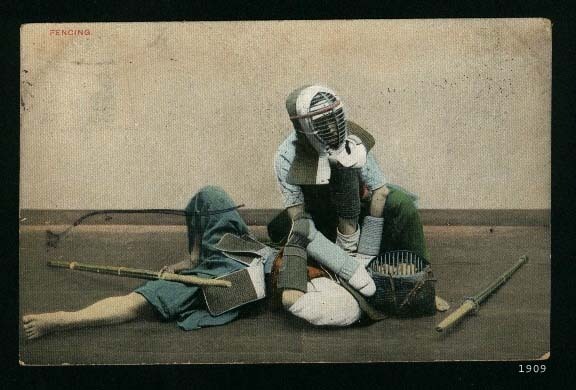 I am a long way from being able to understand whether this is the reason for him not getting through to the niji shinsa, but his kendo looks pretty good to me. Perhaps I am painting too negative a picture. Tsuki is included in most courses and seminars, but normally its inclusion is brief and it seems to be there as the token fourth technique. 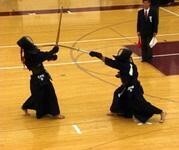 Nevertheless the kendo world seems to be split between those who can’t do tsuki and those who excel at it. It is probably the result of my over active imagination, but I have the suspicion that those who can spend their nights away from prying eyes practising tsuki in the dark.